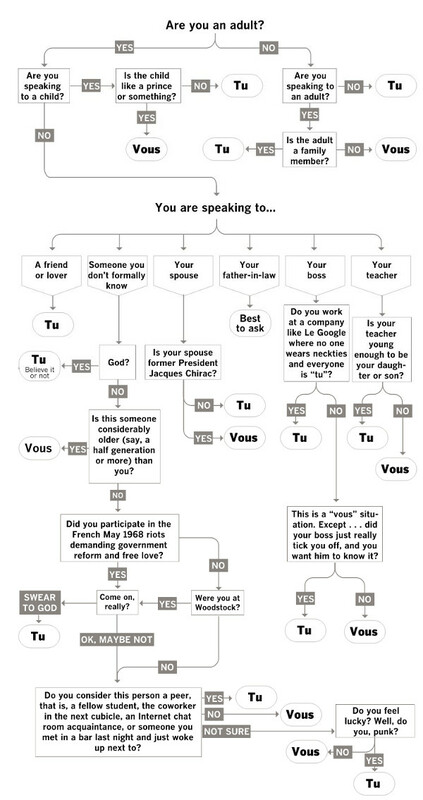 No equivalent in English, vous is often misunderstood, and especially poorly mastered: tu generalizes. But where the limits of formal address is? can we address as vous his leader? it depends if you work at a company like Le Google! Did you participate in the French May 1968 riots demanding government reform and free love? Were you at Woodstock? Really? Are you speaking to a child? Is the child like a prince or something? A graphic both funny and useful!